Tanker truck drivers deliver liquid bulk (e.g. water) or dry bulk (e.g. sand) loads, typically in steel tank trailers with hands-on loading and unloading processes with pumps and hoses. The trailer can be designed to haul chemicals and corrosives, or contain multiple compartments, or control product temperature (e.g. Heat in Transit). 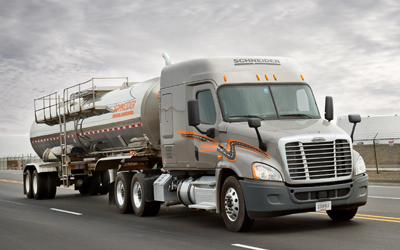 Schneider features a leading liquid freight base, giving you more options. 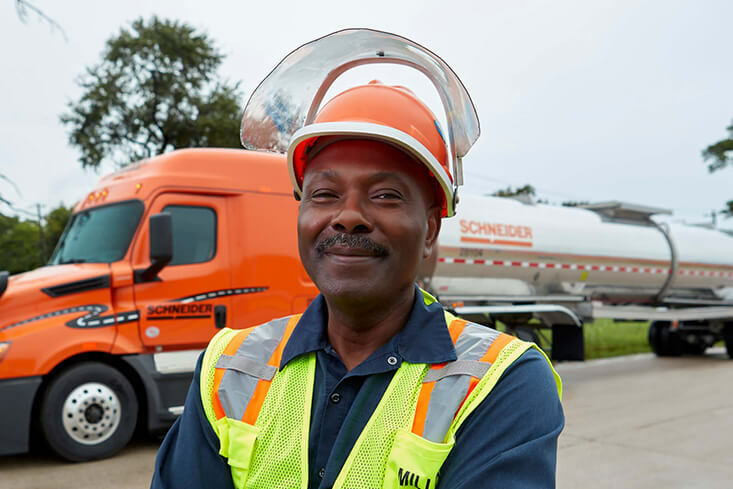 Tanker drivers are among the highest paid in Schneider’s fleet. That means higher mileage pay, plus a larger portion of your paycheck being for accessorials with the special handling required. Tanker drivers love that their job isn’t just driving. Loading and unloading the tanks will provide a nice change of pace to the day-to-day work, and you’ll feel the pride of being close to the whole process. 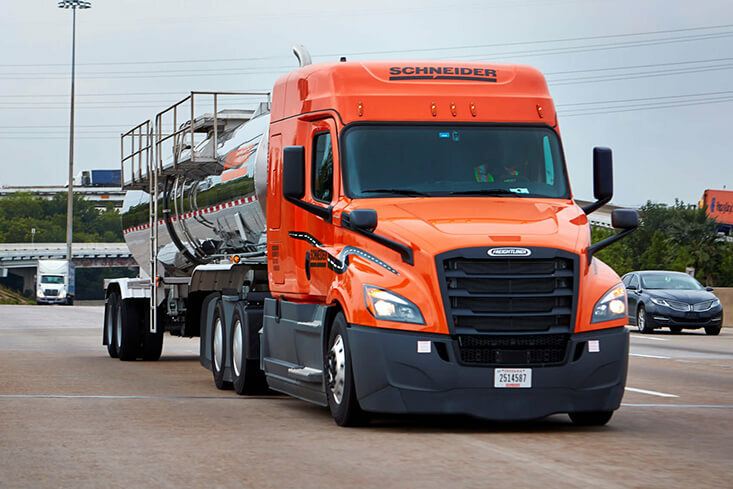 Even though two-thirds of Schneider Tanker loads are non-hazardous, we will work hard to make sure you’re prepared for 100 percent of the loads you’ll haul. Earn your way in to this elite team. Team drivers pair up to rack up more miles and money than they ever could on their own. These positions aren’t always available for Tanker drivers, but when they are, it creates a perfect recipe for earning power. Team drivers earn more than solos, and Tanker drivers earn more than drivers hauling other freight types. 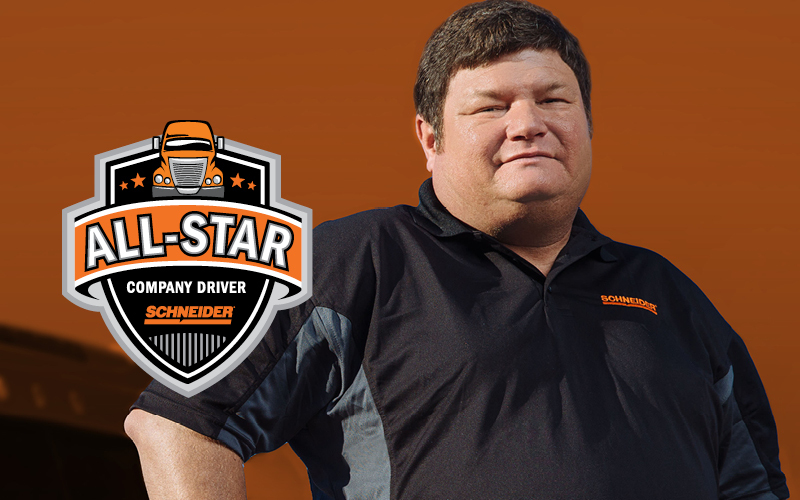 Team Tanker drivers get the ultimate long-haul lanes, drive the newest equipment and enjoy the companionship of another driver/chemist in the seat next to them. Solo drivers hit the road on their own, enjoying the freedom and independence they crave. 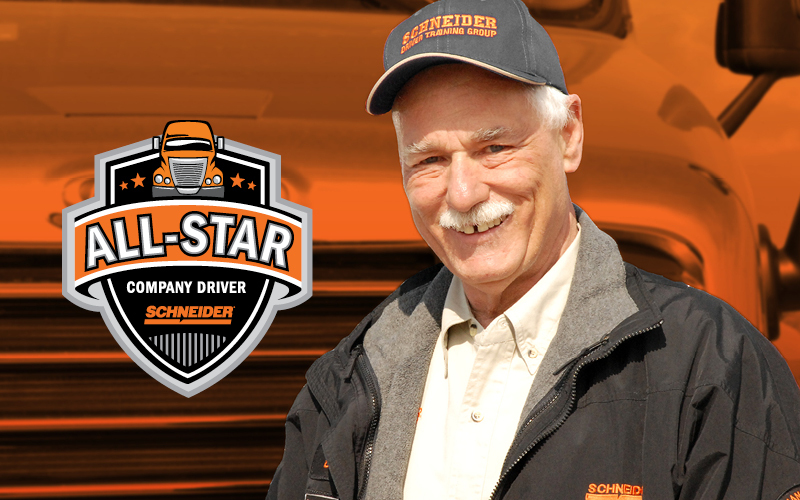 Nearly all of Schneider’s Tanker jobs are for Solo drivers, so every other option besides Team is available to you. Make sure you explore all the options to find the work type, freight characteristics and schedule that best fits your goals and needs. 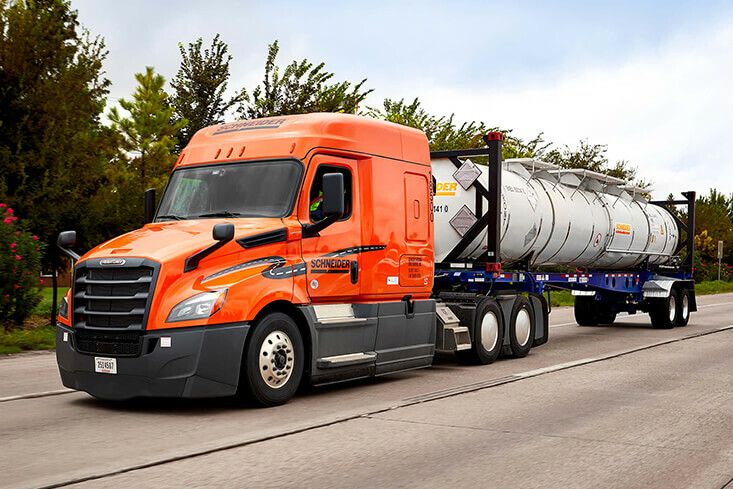 Dedicated drivers haul freight for one primary customer, and we’ve seen a surge of customers choosing Schneider to take over their private Tanker fleets. That means you’ll get to know the customer well, from the people you work with, to the routes you’ll run, to the chemical make-up and unique loading/unloading requirements of the freight you haul. It’s a great way to add consistency to your week, while still enjoying all the perks of Tanker driving. Explore the specific Dedicated accounts and customers near you. Intermodal truck drivers haul freight to and from rail yards, typically near urban environments and large rail hubs. 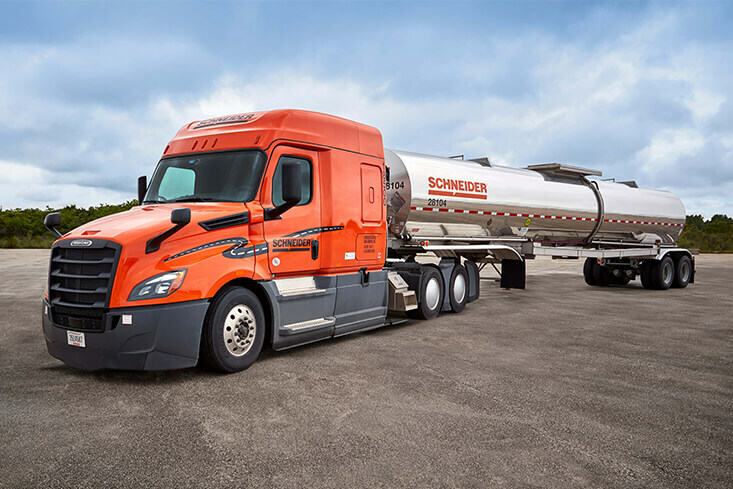 Schneider was the first in the industry to successfully deploy a Tanker trailer that also fits seamlessly on a train, and customers are continually discovering the value. 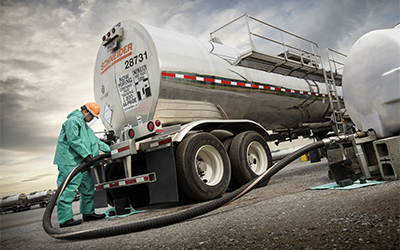 You’ll haul liquid bulk chemicals in a 40-foot tank trailer that can be used on the rail and over-the-road. Since you’ll need to stay near rail hubs, you’ll enjoy greater home time potential and the unique work environment of Intermodal, while still earning the big bucks of Tanker driving. 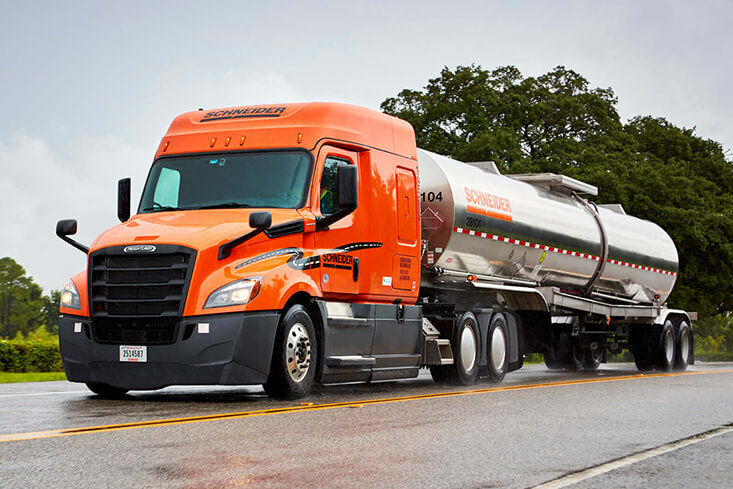 Over-the-Road drivers specialize in hauling freight long distances, and with Schneider widely recognized as the leading network chemical hauler, we have plenty of long-haul routes to keep mile-hungry Tanker drivers happy. You can expect about two-thirds of loads to be non-hazardous. 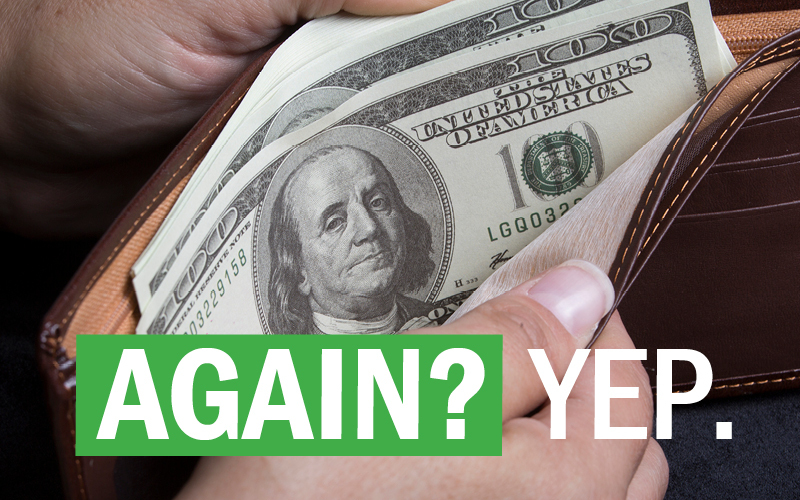 Earn up to $0.59 per mile with performance pay up to $0.04 per mile. Plus, with about 15 percent of pay from accessorial (load/unload), you can come close to $80,000 per year depending on your location and experience level. Our unique paid time off program allows you to choose the six days off per month that work best for you. Regional drivers deliver loads within a smaller geographic area, which makes it easier to get home more often. Regional Tanker drivers can get home weekly or even multiple times per week, depending on the job and your location. Earn up to $0.61 per mile on typically shorter hauls and two-thirds non-hazardous loads. 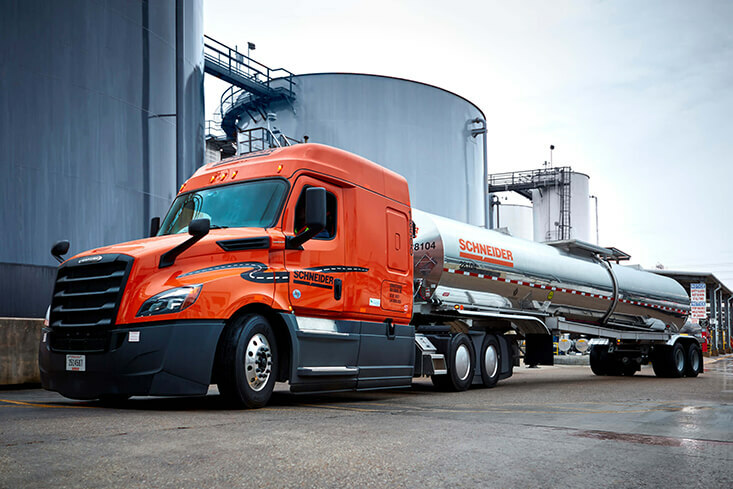 About 25 percent of your pay comes from accessorials through the hands-on loading and unloading of freight, and bringing tanks to and from tank wash locations. 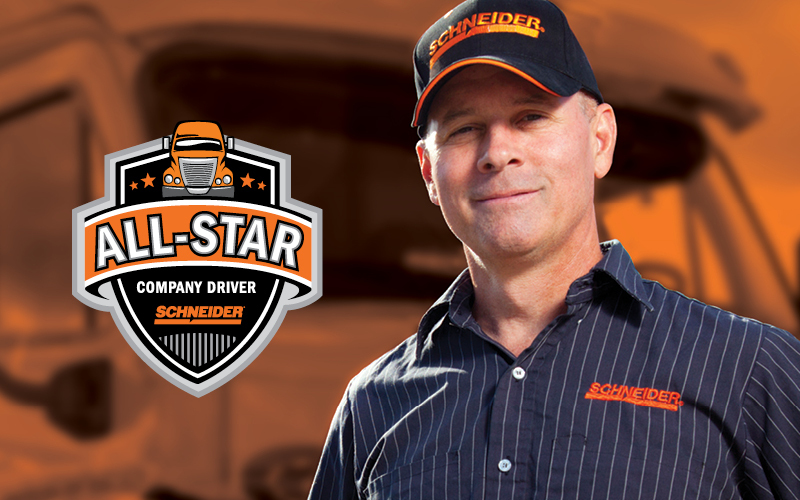 Schneider’s robust network means you’ll have freight to haul year-round, all close to home.